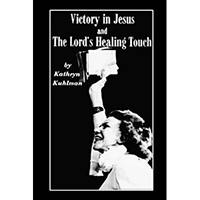 Kathryn Kuhlman Books is a classic spiritual healing book related to Christ’s healing message. Kathryn Kuhlman moved in signs and wonders with power from above. Many people, as she laid hands on the sick, would recover. The world called her a fool for having given my entire life to One whom I’ve never seen. She knew exactly what she was going to say when she would stand in His presence. When she looked upon that wonderful face of Jesus, she felt she have just one thing to say: “I tried.” I gave of myself the best I knew how. My redemption will have been perfected when I stand and see Him who made it all possible.